The book on my nightstand is currently The White People and Other Weird Stories by Arthur Machen. So far it holds true to its title in terms of "weird." Bonus points that Machen inspired Lovecraft. Woot! Anyway, it got me thinking about my love of weird books. Enter my list of the weirdest books on my bookshelf. Le Petit Poisson dans un Grand Etang: A few years ago, I began teaching myself French in preparation for a trip to Paris. I did a combination of Rosetta Stone, Duolingo, and workbooks. 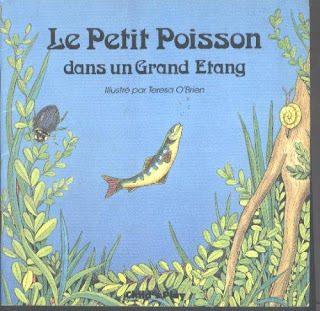 I had read someplace that reading children’s books in the language you are learning is also beneficial, so I bought Le Petit Poisson dans un Grand Etang (The little fish in the big pond) because it looked like a cute and quirky story that was easy to read. Platypus: This book is about the extraordinary story of how a curious creature battled the world. It uncovers the earliest theories and latest discoveries about the delightfully odd member of the animal kingdom - the platypus. 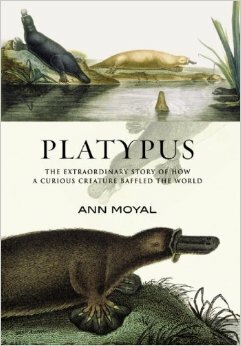 What prompted me to read an entire book about the platypus? I guess it just sounded neat, and neat it was. I pulled a lot of weird (albeit possibly useless) knowledge from this book. For example, did you know that the platypus has a stinger? Look it up! The Gospel of the Flying Spaghetti Monster: This book is completely silly, but impressively creative. 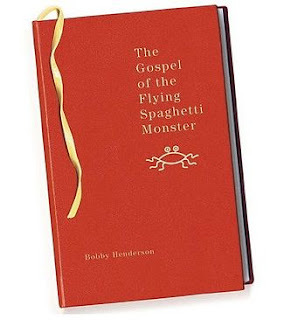 It provides some really interesting ways to think about religion and the world in a funny, weird way. The pictures also really add to the hilarity. What are the weirdest books on your bookshelf? Can they top my list?